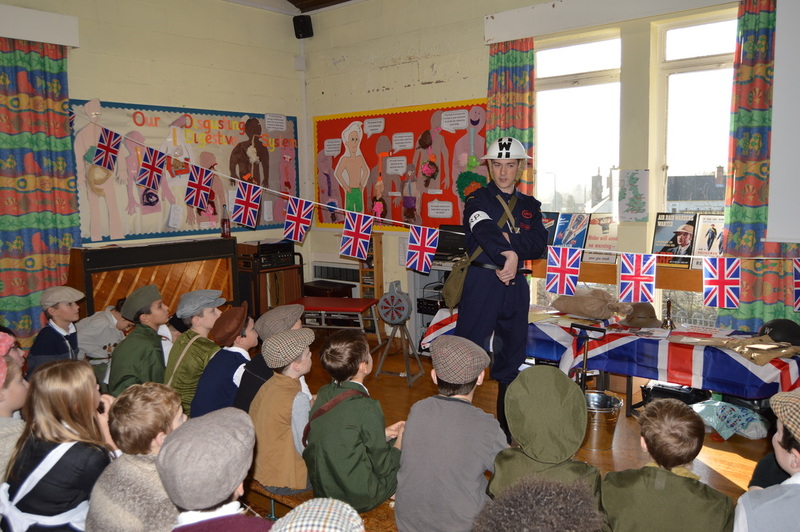 WW2 Workshop is in a category of its own when it comes to school workshops - it really isn't comparable! 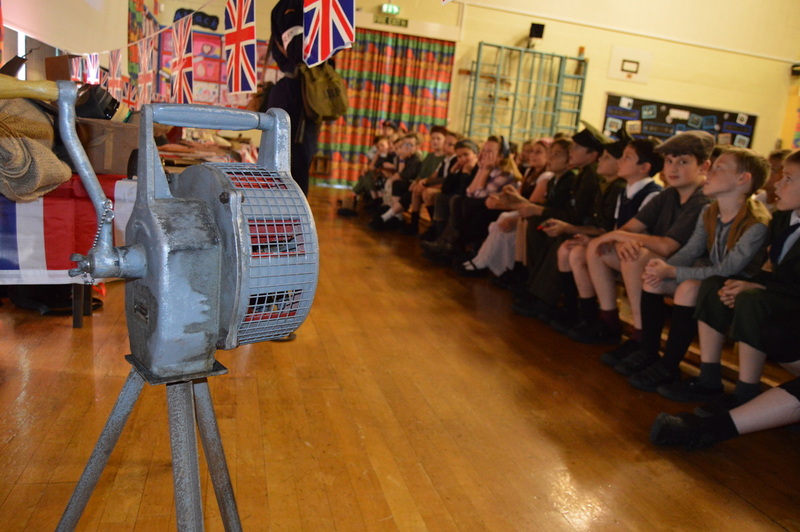 WW2 Workshop offers superb value, highly engaging hands-on activities and professionally presented presentations. ​To honour 100 years after the end of World War One, we are proud to now offer WW1 Workshop. Whole-school workshops available as well as a workshop that caters for up to 4 classes (all 4 classes benefit from talks/presentations and activities throughout the entire school day). Welcome to WW2 Workshop, the place where World War Two and the Blitz meets schools across the country. 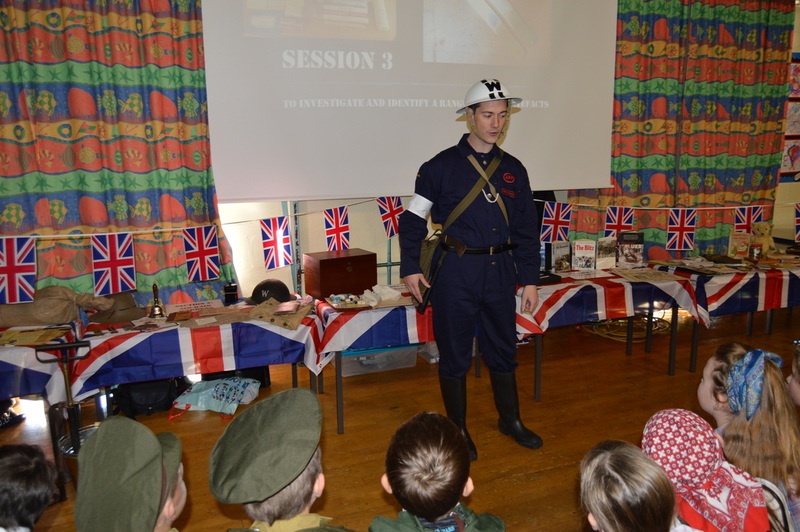 WW2 Workshop consists of a school visit that has been developed in-line with the new 2014 History Curriculum, by a practising Primary School Teacher. I am the Chief Air Raid Warden of the Nottingham Division, and it is my job to transport the children back to the times of the second world war! I take the children back to 1939 and immerse them in interactive activities that make them feel as though they are living in war-time Britain (on the Home Front). Being a Teacher myself means that this is no simple school visit, where someone turns up dressed up in period dress and the children simply look and listen. 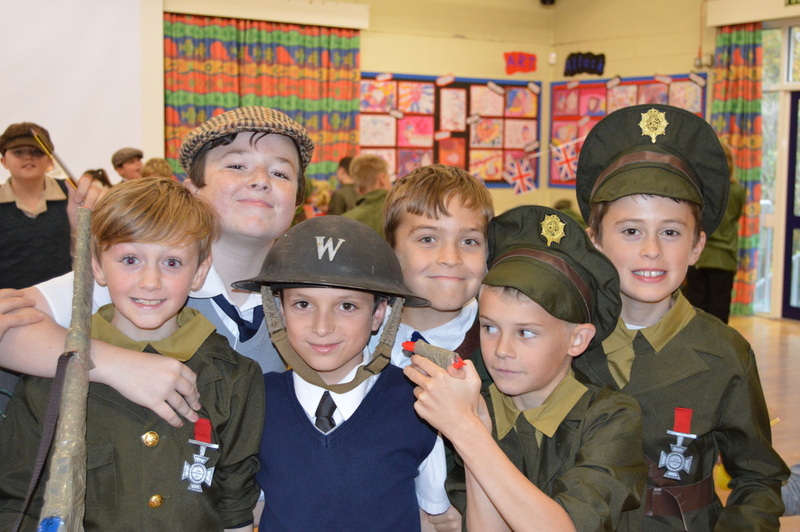 The curriculum-led day consists of an enriching and highly engaging scheme of work, where children will be learning a great deal about life in World War Two and how civilians lived through the Blitz, through active learning, active listening, group work, role play and performance. Feedback from running the workshop has been fantastic. Teachers have commented on how the children had a great day, having a lot of fun and having a truly memorable experience. The learning from the day has proved to be far greater than in any normal history lesson, and this has resulted in the children's writing on the subject being vastly improved. Boys, in particular, have seen their writing quality improve, as they are very knowledgeable and engaged in the topic. 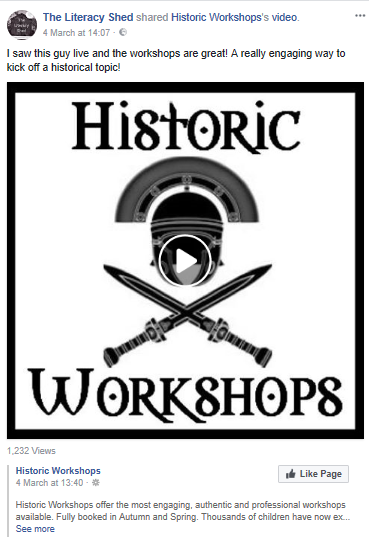 To find out more, simply browse WW2Workshop.com by clicking the buttons in the header. 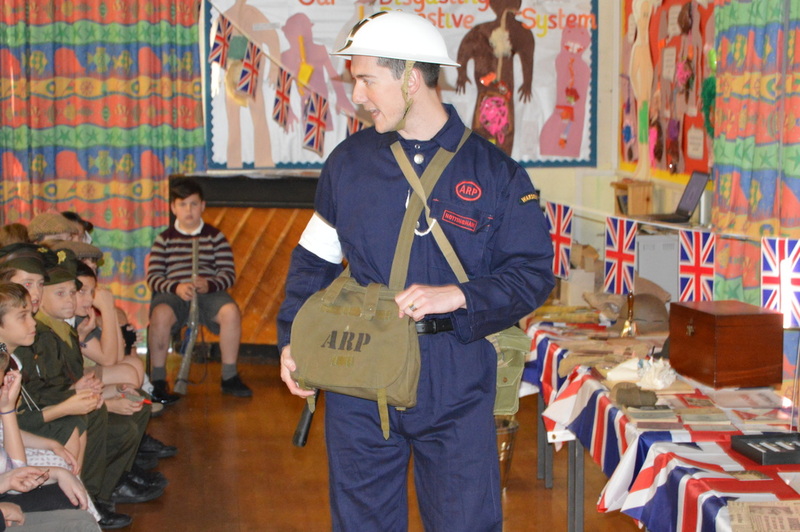 "Leigh came in to our school to introduce a WWII topic to our cohort of 75 year 5 children. The workshop was fantastic, absolutely loads of artefacts for the children to handle and view including a working air raid siren. Leigh's knowledge was excellent and his experience as a teacher meant that behaviour and pace were all first class. The children loved the mini workshops including operating a stirrup pump, bandaging each other's "war injuries" and a fact hunt activity with all the artefacts. I thoroughly recommend this workshop and would not hesitate in booking Leigh again for future sessions." Mr Matkin, Queen Victoria Primary School. 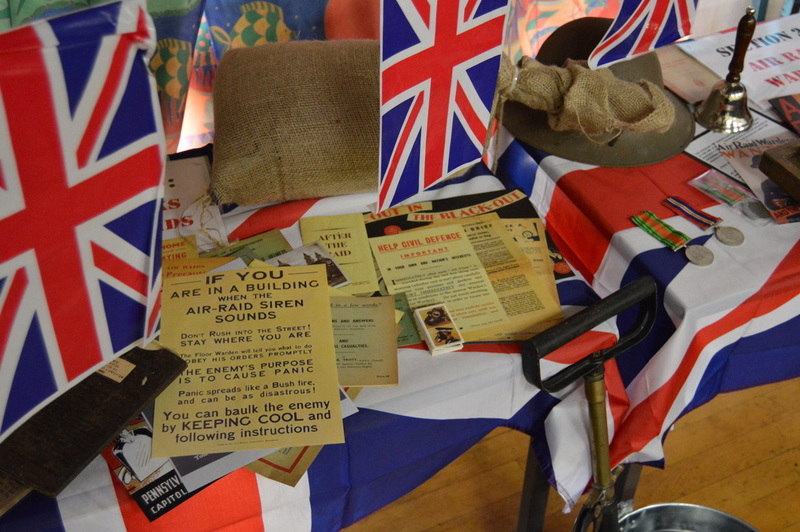 "An engaging, hands-on introduction to life in Britain during WW2!" Anna Hopkins, Ben Jonson Primary School. ​"​This workshop kept the children and adults entertained for the whole day. The children enjoyed the learning that took place and have not stopped talking about the artefacts! Very good value for money!" Elms Farm Primary School.